Turning to the rich history of the rural cemeteries of the 19th century, the architects of Mountain View Park Cemetery preserved the historic elements of a time when cemeteries became, not only places of mourning, but also places for those wanting to experience the peacefulness and serenity of a beautiful park. Mountain View Park Cemetery provides families with exceptional settings for the permanent memorials of their loved ones. With acres of rolling green lawns, majestic willow trees, lakeside vistas, and a cremation water garden, Mountain View Park Cemetery is a perfect place for families to return, year after year, in remembrance and honor. Sometimes one family member wants to be buried and another wishes to be cremated, yet they want to be together. Because we know this to be a common wish, Mountain View Park Cemetery makes it simple for families. 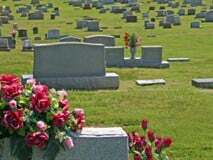 We can easily arrange for a common burial of both your loved ones in the same plot. 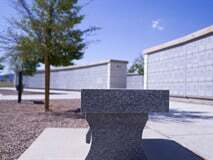 Mountain View Park Cemetery maintains a variety of facilities for the interment of cremated remains, giving you a full selection of urns, niches, mausoleums and urn gardens. For those families who desire it, we’re also able to combine in-ground burial for both casketed and cremated remains. 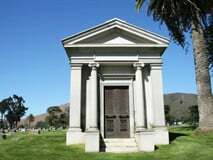 The existing mausoleum at Mountain View Park Cemetery is a community mausoleum with crypt space for single caskets, and cremation niches which can hold one to six cremations. Families may opt to have a glass front on the niche, which allows them to place a photo or personal memento in the niche. This memento may be placed at the time of service or later at the convenience of the family. Our experienced staff can help you arrive at the perfect decision for you, and your family. Call us at (770) 424-0390 to discuss the wide variety of permanent memorialization options, or contact us via the contact form.